On this page you can consult informations about distances and roadmaps from Tamworth Airport to major cities and places in Australia. Set on 10-acres, Stockmans Motel offers free WiFi and free on-site parking. Each room includes a patio, a TV and a dining area. Located in Tamworth, Stockmans Motel is is 5 minutes' drive from the famous Golden Guitar. This hotel is 11.18 km from city center. 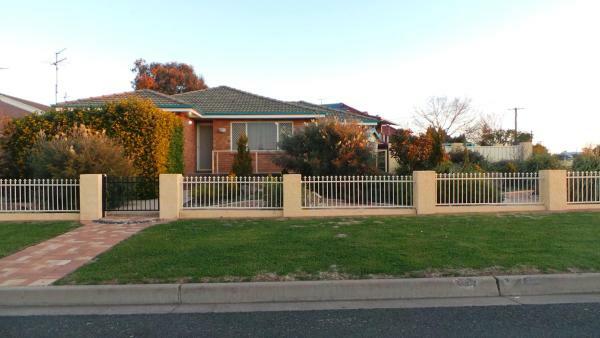 Sundance Park Motel is set on 6 acres of lawns and gardens in South Tamworth. It offers a unique guitar-shaped outdoor pool, barbecue facilities and free WiFi access. The air-conditioned guest rooms feature a patio with garden and pool views. This hotel is 9.96 km from city center. Situated in Tamworth, 200 metres from The Golden Guitar, Plumes on the Green Boutique Bed & Breakfast provides accommodation with access to a beautiful garden, mini golf, shared lounge and free WiFi. This hotel is 8.63 km from city center. Featuring an outdoor pool, snack bar and free Wi-Fi, Golden Guitar Motor Inn is a 15-minute drive from Tamworth Marsupial Park. Free parking is included. This hotel is 8.76 km from city center. Offering a garden, Studio 367 is situated in Tamworth. The Golden Guitar is 800 metres from the property. This hotel is 8.51 km from city center. Just a 6-minute walk from The Golden Guitar in Tamworth, Motel 359 offers free WiFi, free parking and air-conditioned rooms. Guests enjoy free continental breakfast. This hotel is 8.50 km from city center. Featuring free WiFi and included continental breakfast, Tamworth City Motel is just 1.3 km from The Golden Guitar. Guests enjoy an on-site bar and free private parking. This hotel is 8.31 km from city center. 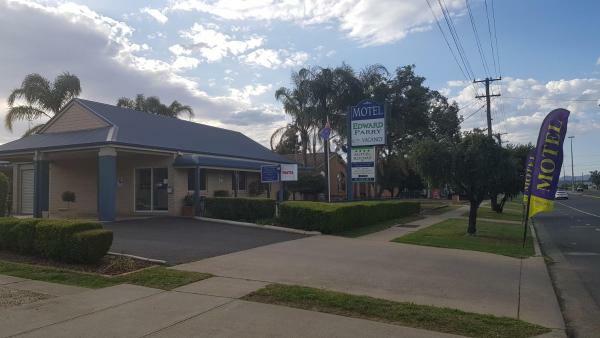 Motabelle Motel is located 1 km from the Golden Guitar, 2 km from the Australian Livestock and Equestrian Centre and sporting grounds as well as 3 km the Tamworth Town Centre. It offers free parking on site and free WiFi access. This hotel is 8.19 km from city center. 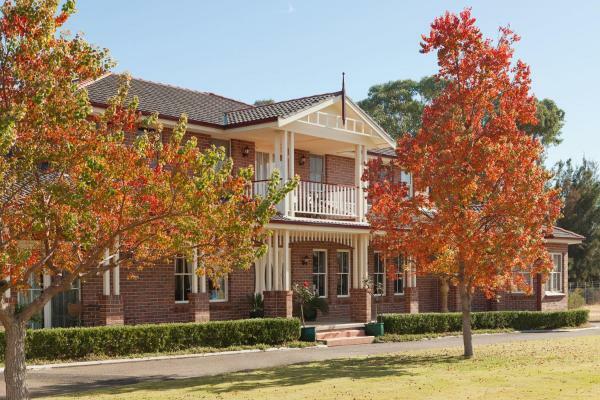 Situated in Tamworth in the New South Wales region, The Bell House has a terrace. This property is 2.2 km from The Golden Guitar and features free WiFi. This hotel is 7.97 km from city center. 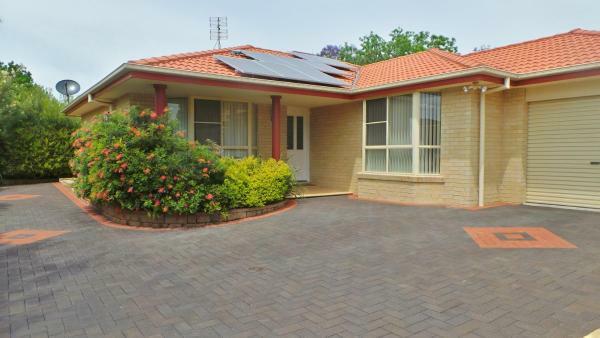 Featuring garden views, Casa Bella is located in Tamworth, around 2.2 km from The Golden Guitar. This property offers access to free WiFi. The holiday home comes with 3 bedrooms and a fully fitted kitchen with an oven and a microwave. This hotel is 7.97 km from city center. 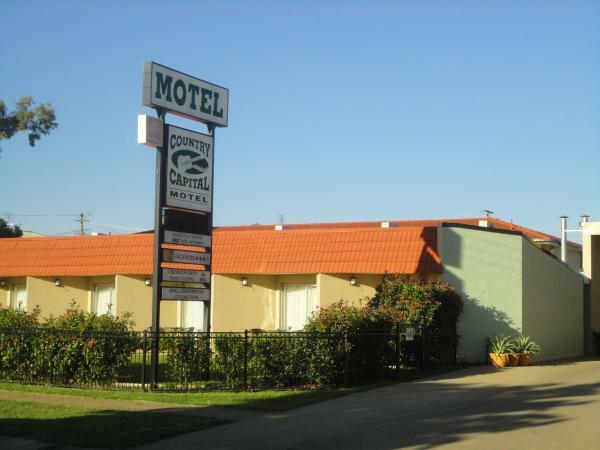 City Gate Motel offers free WiFi and rooms with air conditioning in Tamworth. This 3-star motel offers a garden. The rooms are fitted with a patio. The units at the motel come with a seating area and a flat-screen TV. This hotel is 8.06 km from city center. 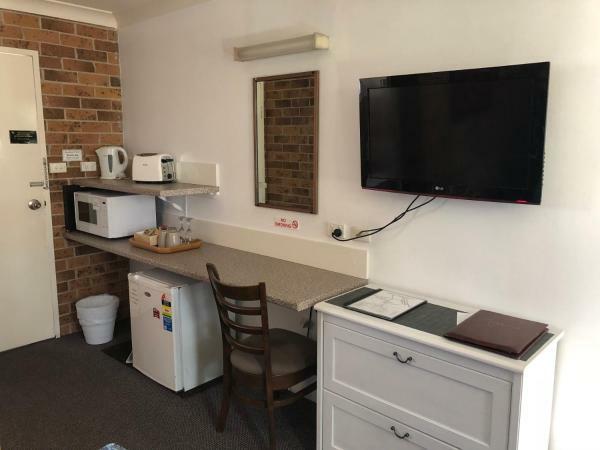 Just 3 minutes’ drive from central Tamworth, Edward Parry Motel and Apartments offers accommodation with free Wi-Fi and a flat-screen TV with cable channels. The motel features an outdoor pool, BBQ facilities and free parking. This hotel is 7.95 km from city center. You can fire up the barbecue for a tasty meal and enjoy the garden in fair weather. Free private parking is available on site. 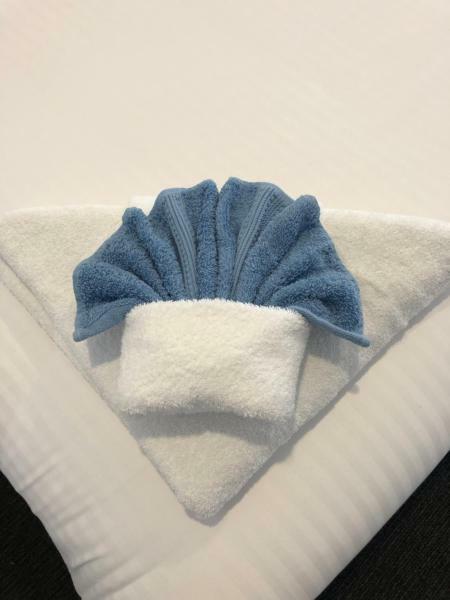 Towels & bed linen are supplied. The area is popular for golfing and fishing. This hotel is 7.34 km from city center. Boasting an outdoor swimming pool, BBQ area and free WiFi available in all rooms, Tamworth Central Motel is just 5 minutes’ drive from central Tamworth. It offers air-conditioned rooms with a small private balcony. This hotel is 7.86 km from city center. Featuring an outdoor swimming pool, The Town & Country Motor Inn offers modern accommodation with free satellite TV. Air conditioning is available in the summer and electric blankets are provided in winter. This hotel is 7.79 km from city center. 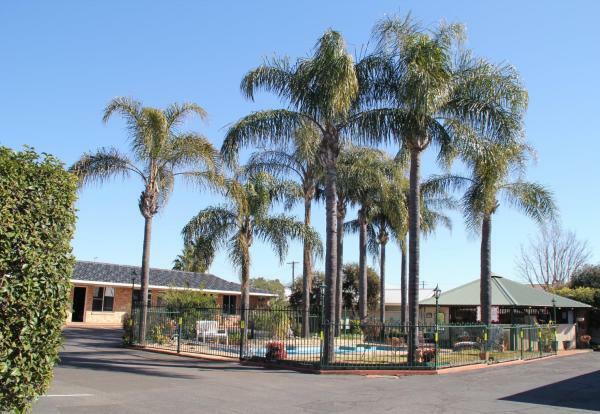 Situated just off the New England Highway, Econo Lodge Tamworth features an on-site restaurant and a swimming pool. Each room at Econo Lodge Tamworth includes a minibar, tea/coffee making facilities, toaster, ironing facilities and en suite... This hotel is 7.79 km from city center. Featuring free WiFi, Golden Grain Motor Inn is situated in Tamworth. The property is located 2.7 km from The Golden Guitar. The motel has an outdoor swimming pool and luggage storage space. This hotel is 7.80 km from city center. Located in Tamworth, 3.3 km from The Golden Guitar, Country Capital Motel has barbecue facilities and rooms with free WiFi access. 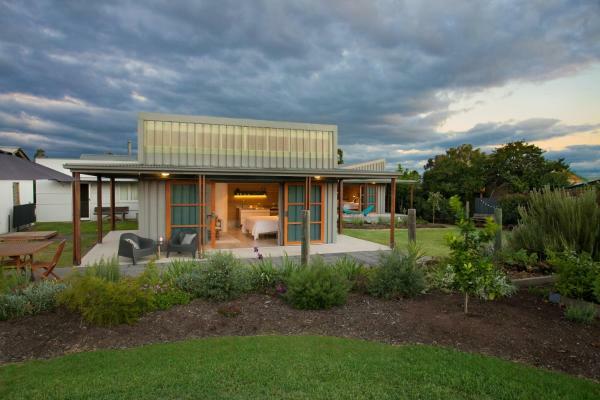 Featuring luggage storage space, this property also provides guests with an outdoor pool. This hotel is 7.70 km from city center. 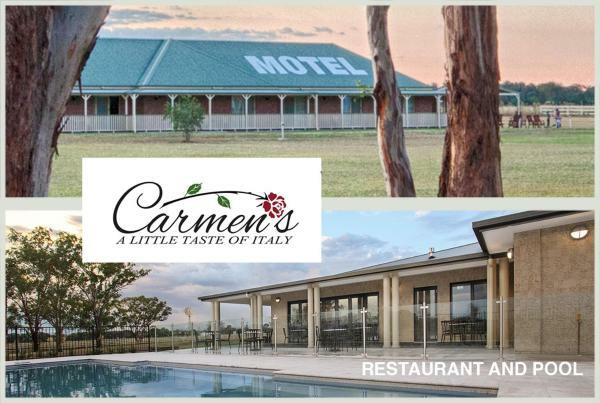 Set amongst landscaped gardens with a large saltwater swimming pool, the award-winning All Settlers Motor Inn features a restaurant and bar. 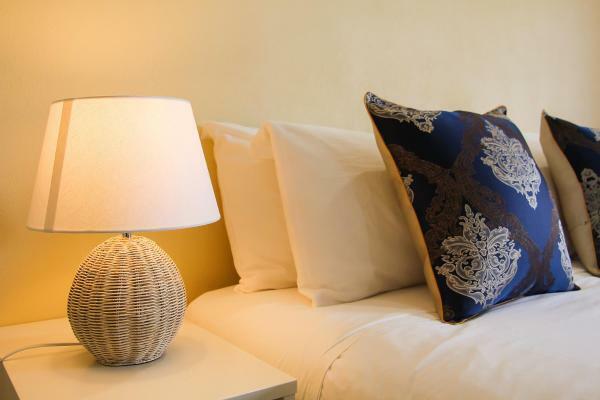 Each room includes free Wi-Fi, an iPod docking station and cable TV. This hotel is 7.69 km from city center. 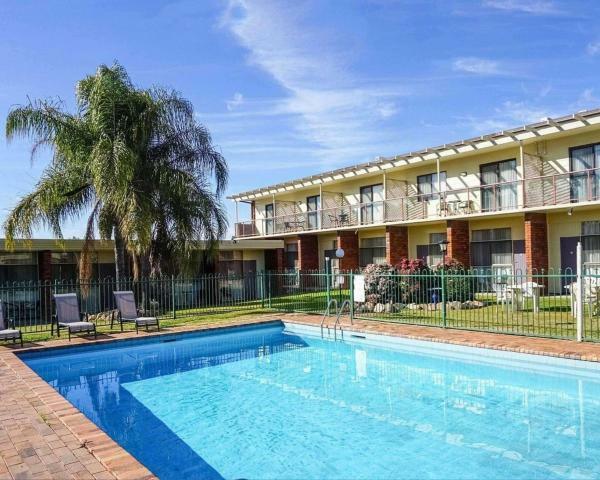 Featuring an outdoor pool and free Wi-Fi, Best Western Tamworth Motor Inn is 1.5 km from Tamworth's dining options, bars and shops. Free parking for cars, coaches, trailers and trucks is available on site. This hotel is 7.72 km from city center. 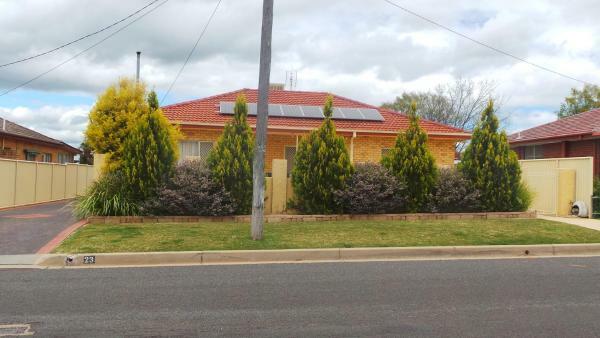 Situated in Tamworth, 4 km from The Golden Guitar, The Garden House offers a living room with a flat-screen TV, a garden with a barbecue, and free WiFi. Guests have a private terrace. This hotel is 6.18 km from city center. 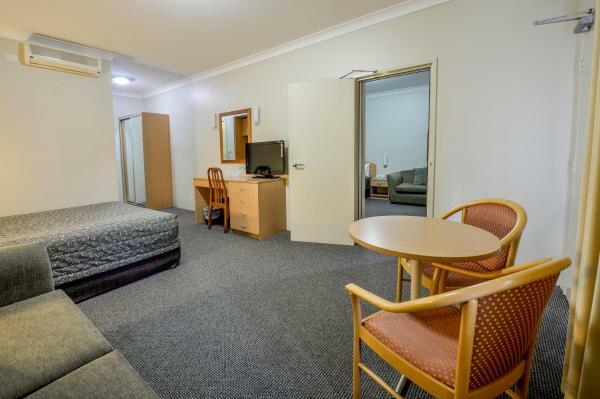 Just a 4-minute drive from the heart of Tamworth, this motel offers rooms with a flat-screen TV. 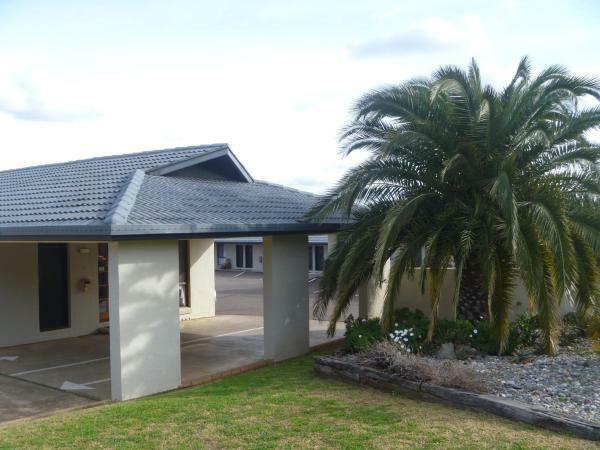 Tamworth Lodge Motel is a 3-minute drive from Tamworth Golf Course and a 4-minute drive from Tamworth Shopping World. This hotel is 7.55 km from city center. 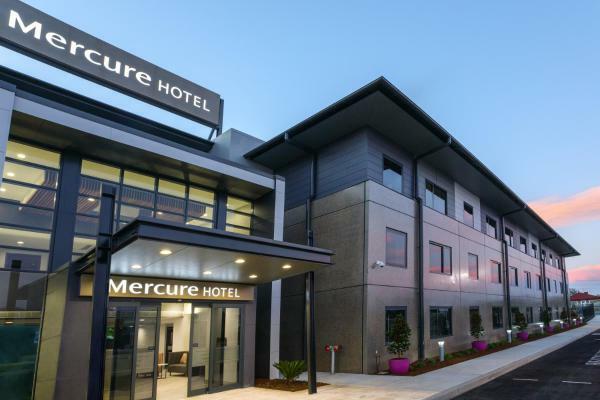 Providing free WiFi, Mercure Tamworth offers rooms in Tamworth, 4.1 km from The Golden Guitar. With an outdoor swimming pool, the property also features a fitness centre. Australian cuisine is served at the restaurant. This hotel is 7.00 km from city center. Just a 5-minute drive from Tamworth city centre, Stagecoach Inn Motel offers an outdoor pool and free WiFi access. Barbecue facilities are available. This hotel is 9.70 km from city center. Located just a 5-minute drive from the centre of Tamworth, Almond Inn features an outdoor pool and barbecue. Free WiFi is featured throughout the property and free private parking is available on site. This hotel is 9.57 km from city center.